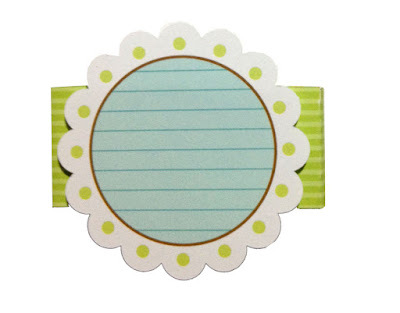 I was actually inspired to create these fun skinny mini notebooks when I happened upon this Pin on Pinterest. My curiosity got the best of me and after reading Kerry's blog and check out her Skinny Notebooks, I decided I had to create some Skinny Notebooks too with the fun papers in the Snips & Snails Collection. So off to Walmart, purchased me some of those fun 5" x 8" notebooks and then a quick stop by our local copy shop to have them cut these in half. 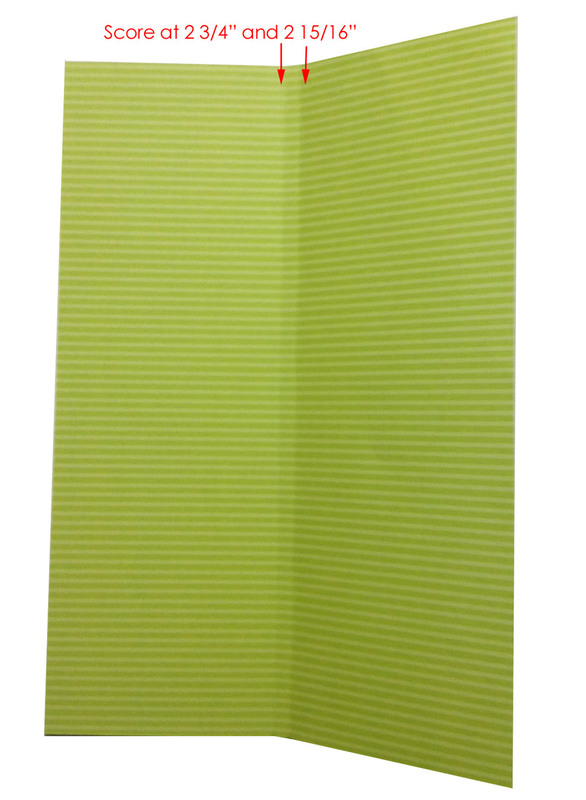 Step 1 - Cut your cover paper to 5 11/16" x 8 1/4". The image below I'm showing you the inside of the paper, the owl print is on the other side. 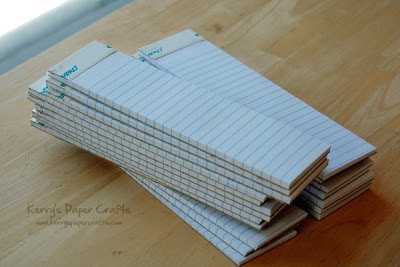 Step 2 - Score your paper in at 2 3/4" and 2 15/16" and fold. Step 3 - Adhere one of your cut down notepads to the right side with a good strong adhesive. I like my Bazzill Marathon Runner or Terrifically Tacky Tape. Step 4 - You'll spend most of your time embellishing the front cover. I decided for this one I would create a band. Start buy cutting a 1 x 6 1/2" strip of paper. 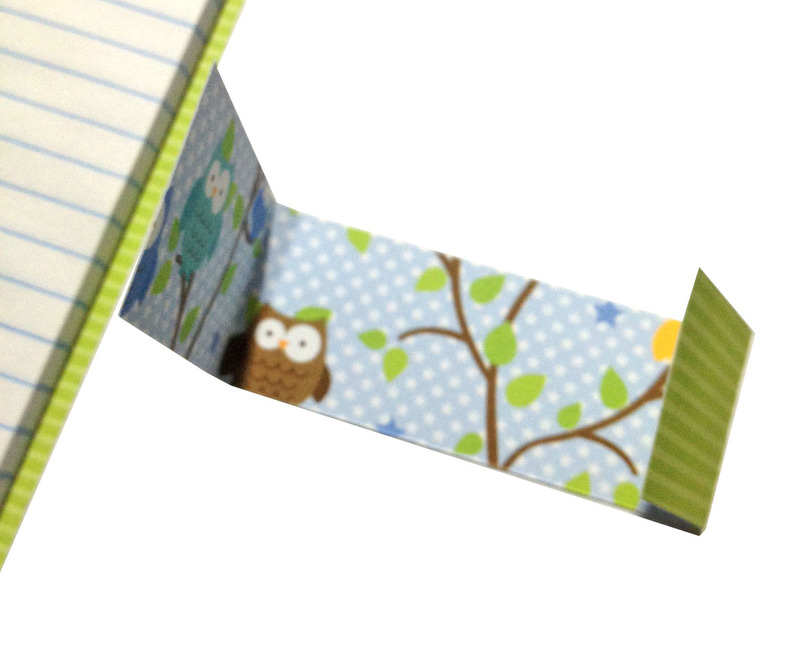 I then wrapped the band around the notebook and adhered in place...it will naturally score itself. If you prefer then use your scoring tool to create a more finished list. Step 5 - Punch out one of the darling die cuts that coordinate and adhere over band using foam tape for added dimension. 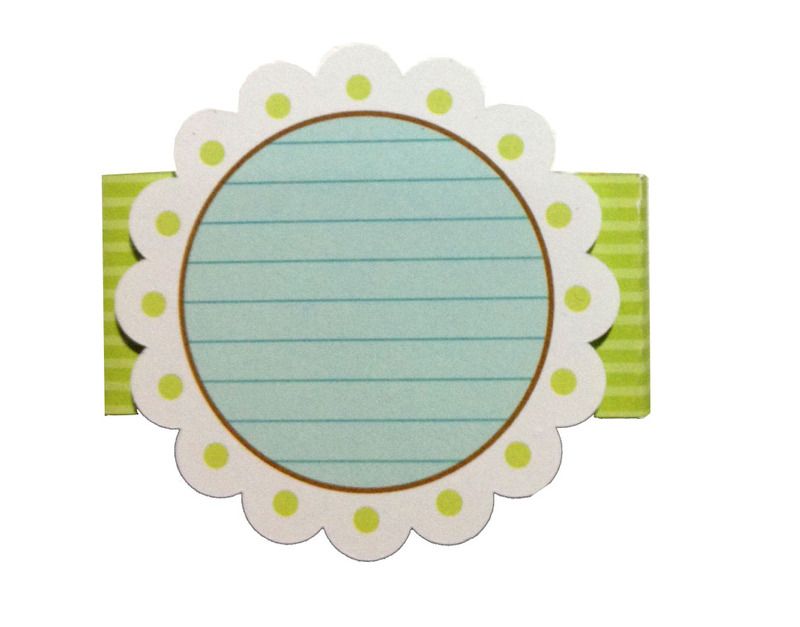 Step 6 - Embellish center of die cut using stickers and buttons. 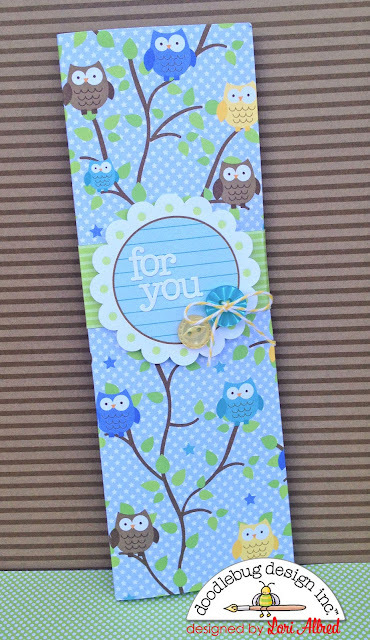 Feel free to pop over to my blog for more crafty inspirational ideas. 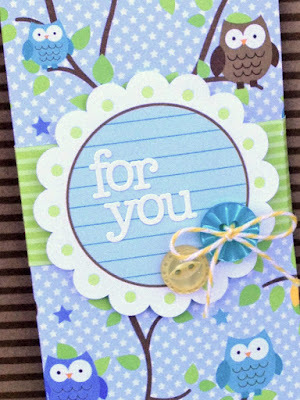 Thanks for checking out this quick and easy tutorial featuring the Snips & Snails Collection by Doodlebug. What a great idea. Thanks for sharing. LORI! I LOVE these!!!! I am totally going to be making some! 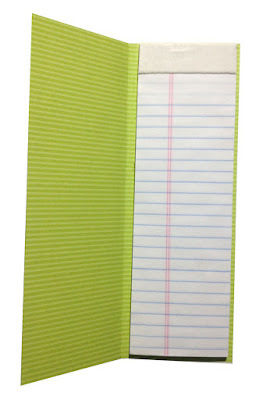 What type of paper/material did you use for the cover? I love this idea. It will make a great teacher present. Very cool! Those would be perfect for shopping lists! What a brilliant idea!! Thanks Lori! Lori, these are so neat! I'm making these for the PTI Stamp-a-Faire next month!